"I sentence you to a total of eighty years in the Department of Corrections. " The judge struck the desk with his gavel. Considered hopeless by the court system and labeled by society as worthless, twenty-four-year-old Dixie Pebworth was banished to a prison yard that was labeled in the 1980's as a "gladiator school." Odds were that Dixie would never get out of prison alive. But, God looked at his heart. Following a series of miracles, Dixie walked out of prison a free man. 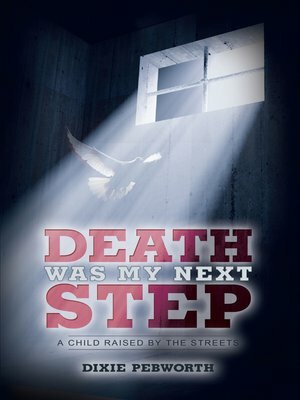 The greatest miracle is how God took a child raised by the streets - who had not been fortunate enough to have been taught morals and values - and transformed him spiritually, mentally, and physically into a man who is reaching thousands with the good news of God's love. If you feel that you or someone you love is in a hopeless situation, this book will give you hope. If you feel abandoned, this book will help you know you're not alone. If you wonder if people can ever "really" change, this book will surprise and inspire you to believe that God can change anyone whose heart seeks after Him. THIS STORY MAY CHANGE YOUR LIFE!